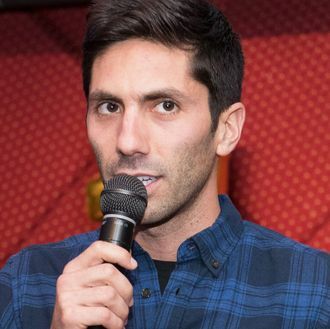 Catfish impresario Nev Schulman was so panicked about the sexual-harassment accusations against him that he came down with shingles. According to People, on Josh Peck’s podcast Curious Schulman said that his own strain from MTV’s internal inquiry (into accusations that he made inappropriate and sexual comments toward a woman) gave him the rash. “I was so stressed and I was so out of control and desperately trying to get it into my control that I actually got shingles,” he said. “Most people get it around their chest or ribs. I got it on my head.” The rash, he says, was unexpected: “It’s been a really meaningful, eye-opening, emotional and physical experience.” Please keep Nev in your prayers. How Stressed Was Nev Schulman Over MTV’s Misconduct Inquiry?